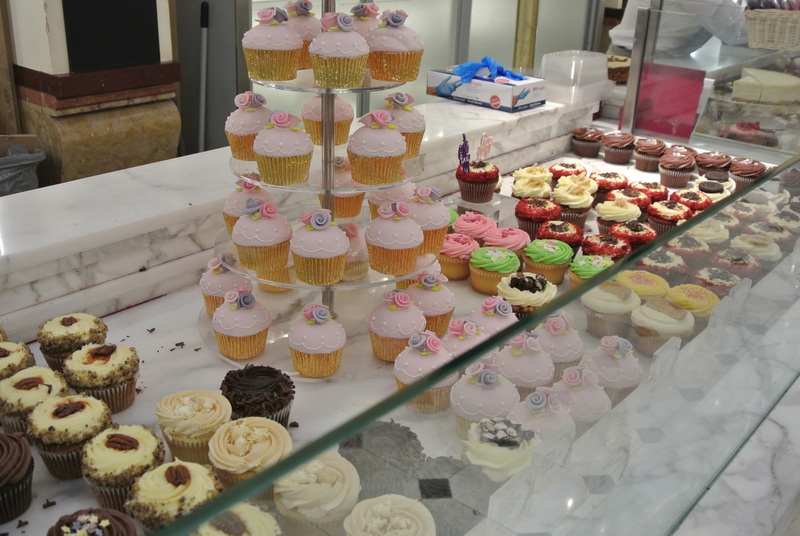 The Harrods Food Hall reminds me of the department stores in Japan! 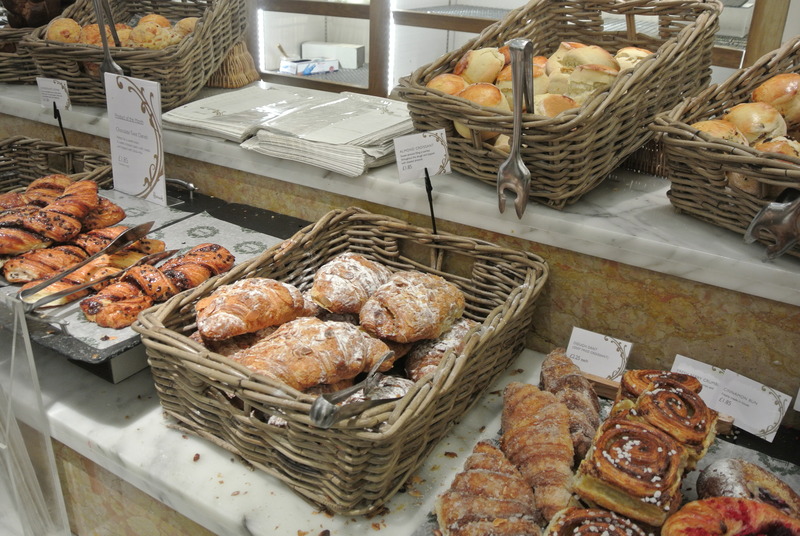 What I loved about them was that each one had a food hall in the basement level of the department store, so full with ready made foods, a bakery, restaurants and food gifts! 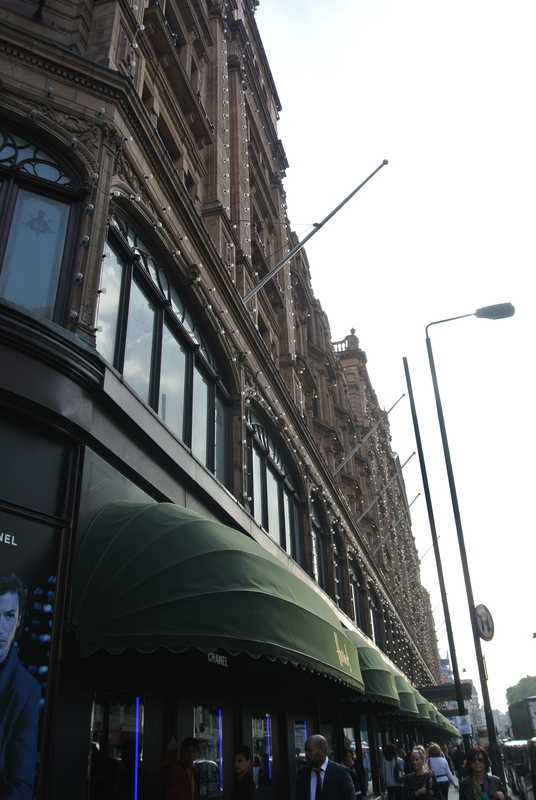 I could spend hours just roaming the aisles – well, I definitely did that here in Harrods. 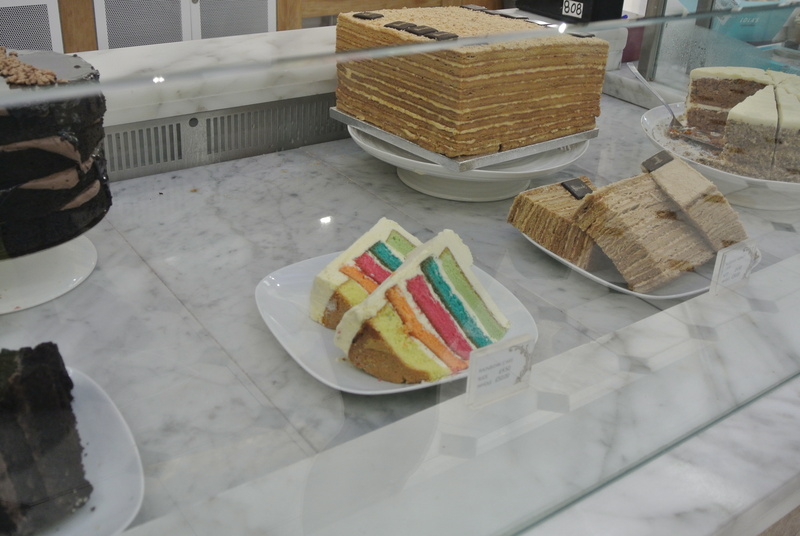 My favourite room was the bakery and patisserie room – you can’t pass these counters without having at least a look, the rainbow cake was calling me 🙂 However, if there’s one thing the English do well, its their sausage rolls and pies. 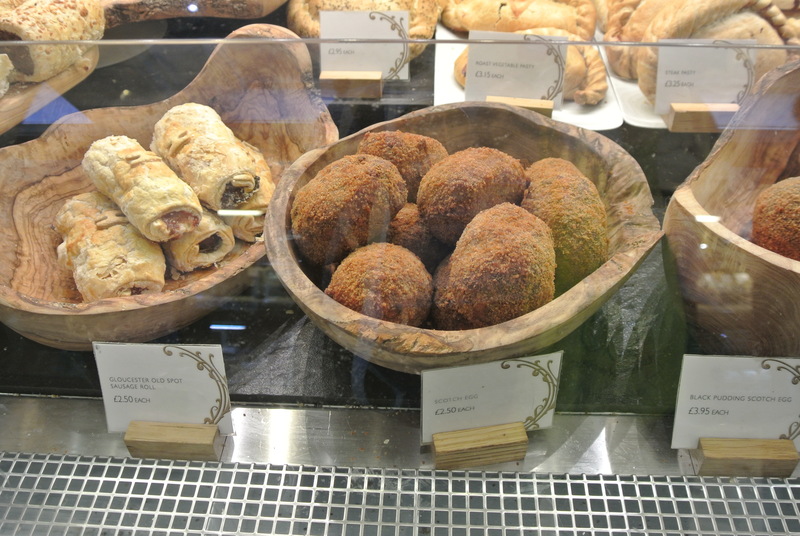 I have to admit, whenever I travel to London I grab one of these to go at least two or three times during my visit. 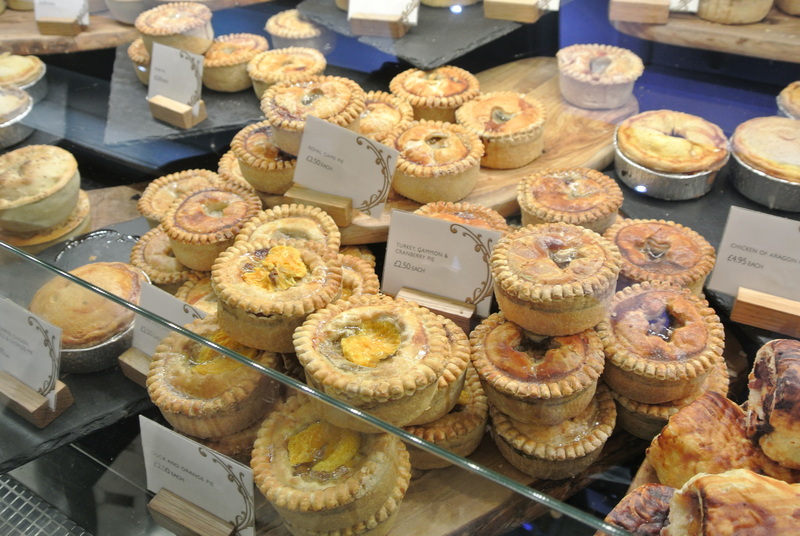 There’s something about meat inside buttery pastry/pies that completely satisfies my hunger! I had to take a picture of this cake – love the rainbow layers! 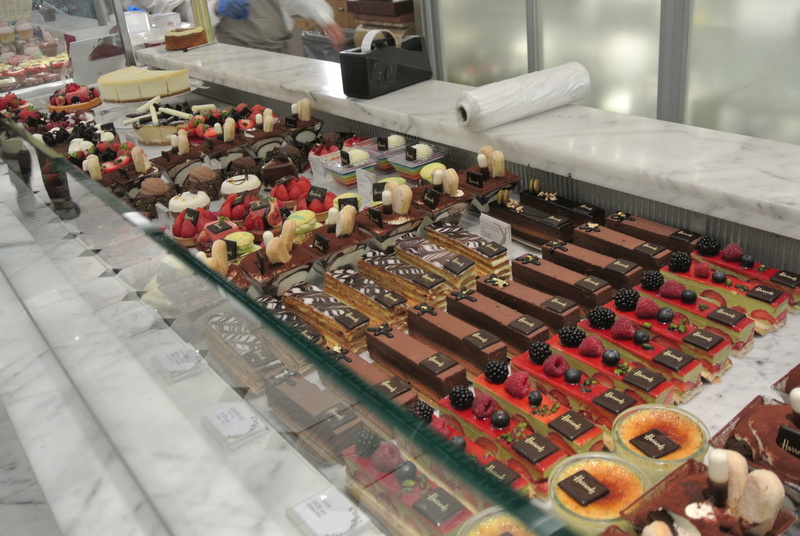 An entire row of beautiful pastries so perfectly laid out. 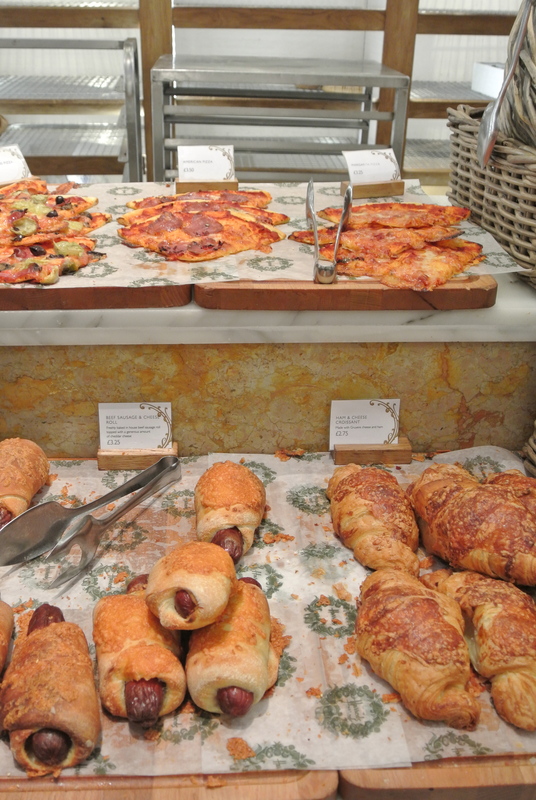 Pizzas, croissants and hot dog rolls! 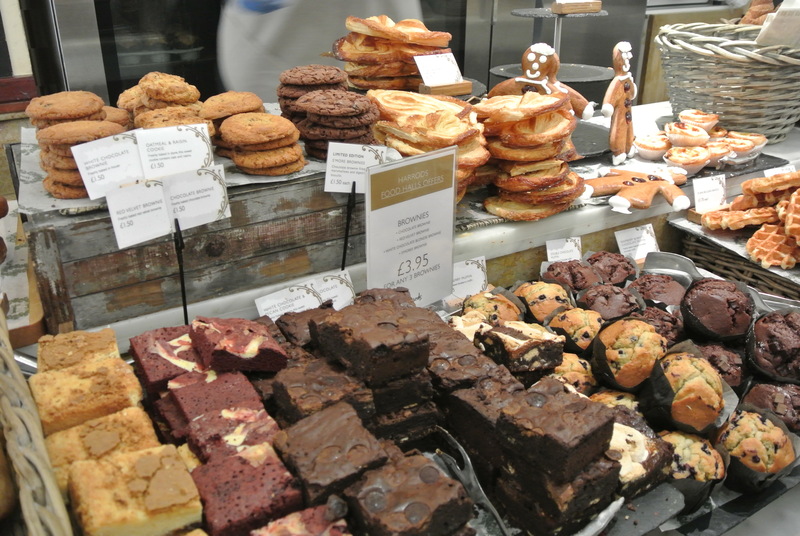 I don’t think I’ve ever seen so many different kinds of brownies, cookies and muffins in one place – delicious! 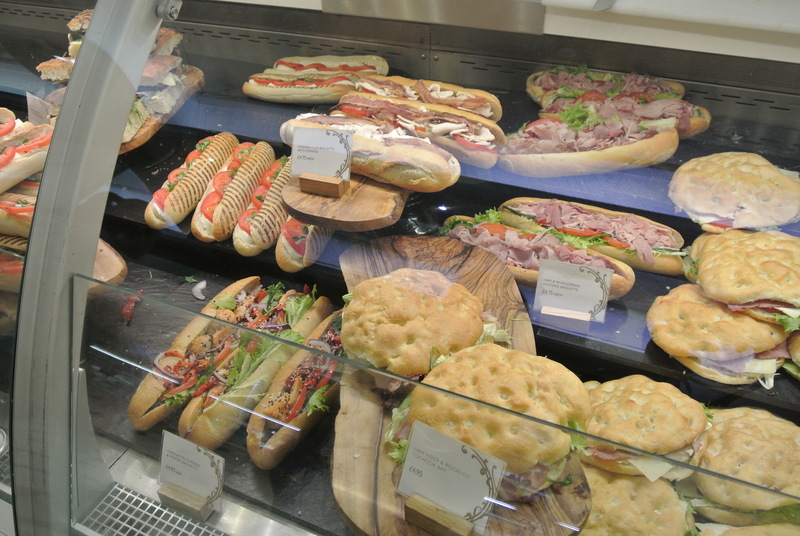 Assorted baked goods to go. 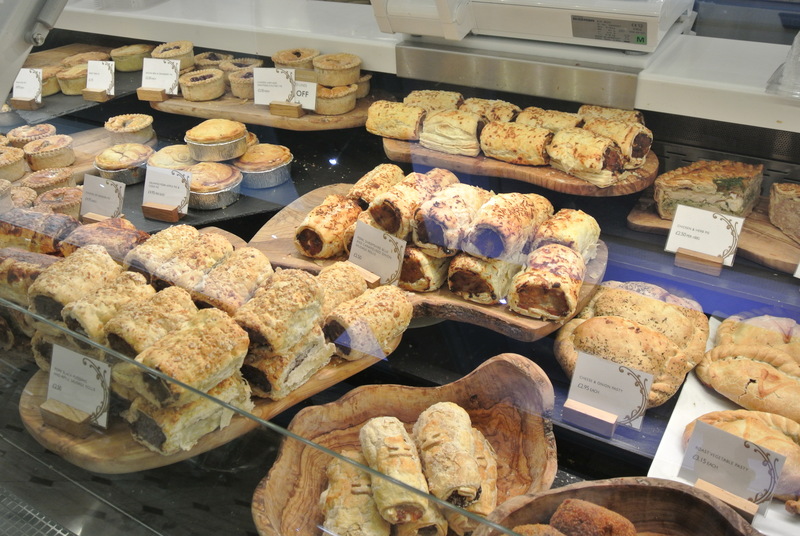 So many different sausage rolls. 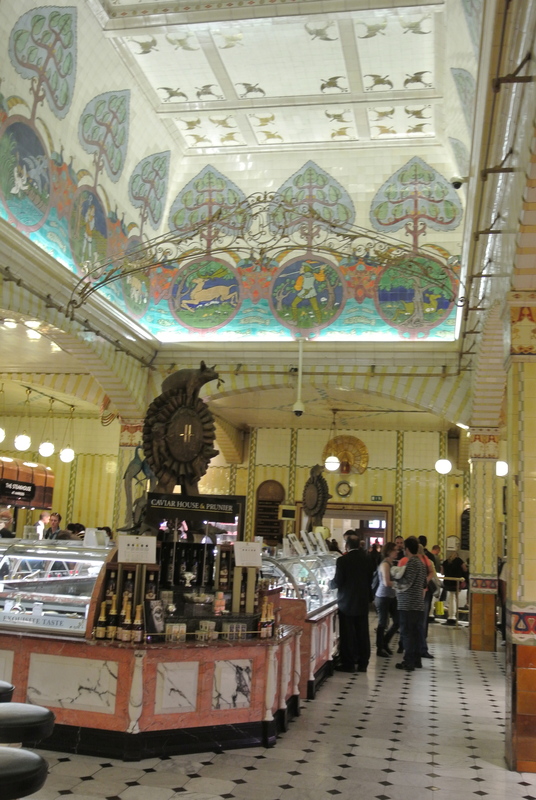 Inside one of the food hall rooms. 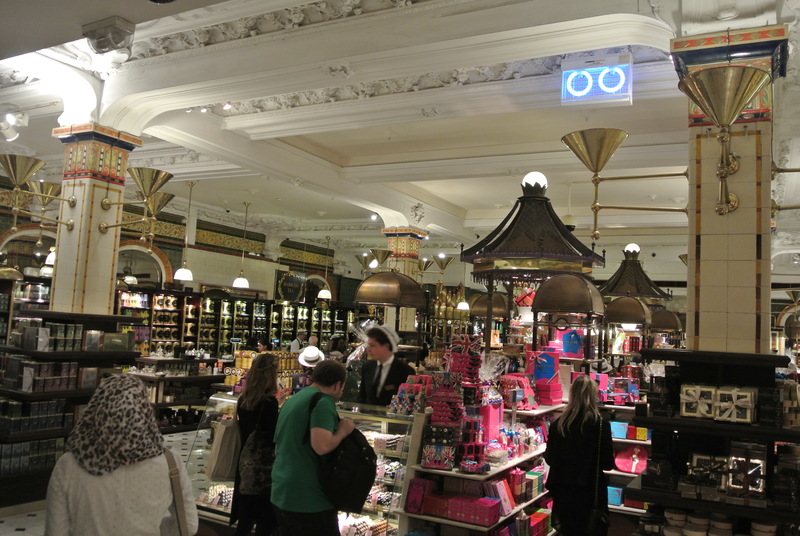 Inside the tea and confectionary hall.